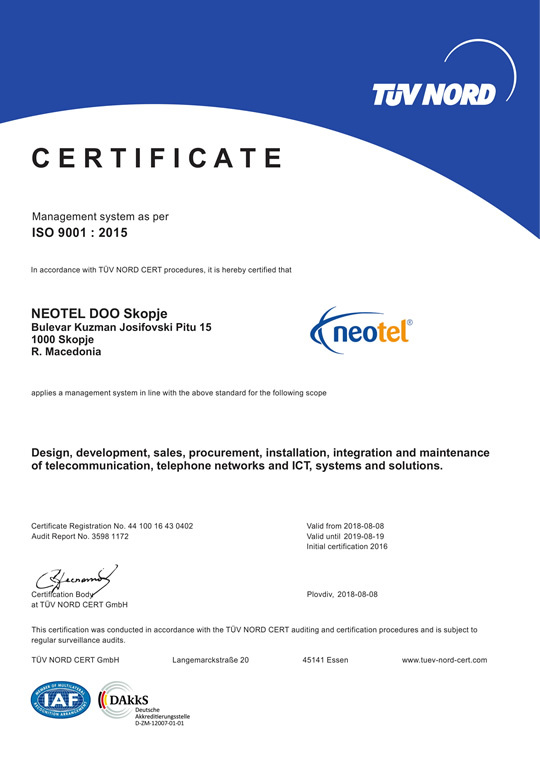 Neotel DOO (Limited Liability Company) is a telecommunications operator founded in 2004 with Macedonian capital by the renowned IT company, Neocom AD. 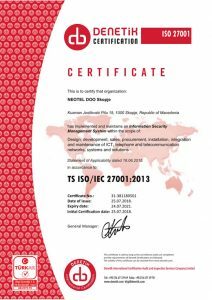 For more than 10 years on the market the company has been offering a wide range of services in the area of broadband internet access, telephony, leased lines, hosting, and collocation of equipment. The company started with offering services to business users with capacity not larger than a few megabytes per second (Mbps), whereas today it offers services to business and private users through the WiMAX wireless technology and its own optic network with gigabyte (Gbps) capacity. 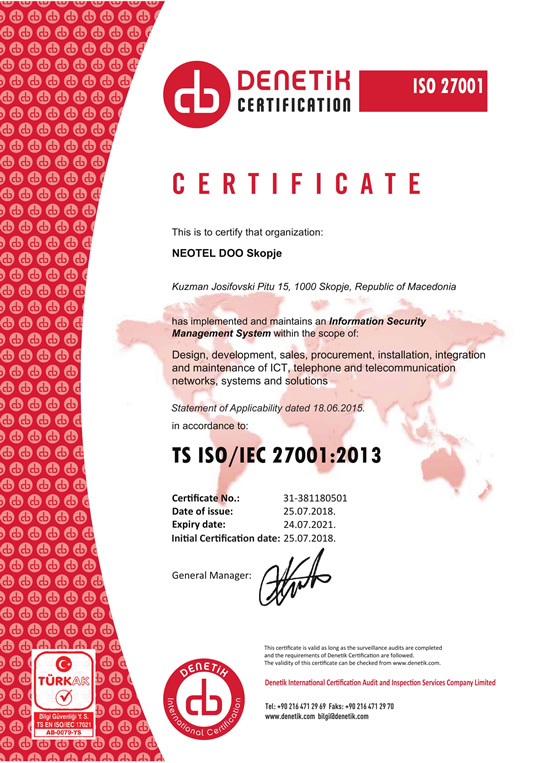 Neotel is equipped with highly qualified staff that is always following the latest technological trends in the world. 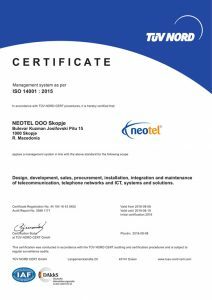 Thanks to its employees with recognized expertise in telecommunications, Neotel is renowned by its innovativeness and thoroughness in discovering specialized and functional solutions for its users. 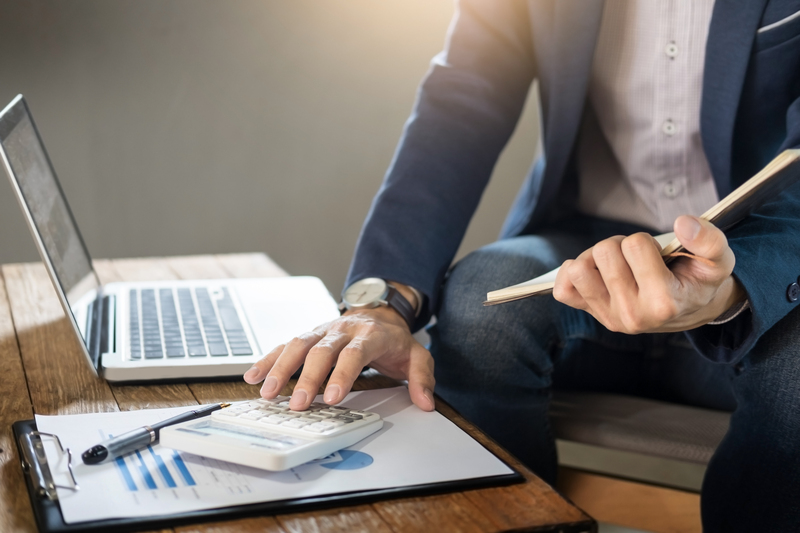 As internet providers, we are independent on the market with regard to internet capacity and we have a number of international interconnections at our disposal through our own optic network. By developing our own optic and radio network, our high-quality services are available in most of the territory of the Republic of Macedonia. As the only WiMAX operator in Macedonia, our wireless services are available in the larger cities of the country, and the plan is to spread even more in the following years. In addition to the standard landline services of internet access and telephony, the Neotel WiMAX network offers portable internet access through a USB modem that allows usage of the internet connection wherever there is signal coverage. We have at our disposal various high-technology solutions with the purpose of being even more available to our users and providing the best possible quality of our services, which is well known to our long-term clients. In addition to the wireless WiMAX technology and optic connection, we offer asymmetric approach (ADSL), which makes our telecommunication services available on the entire territory of the Republic of Macedonia. Our vision is to be recognized as leader in the telecommunications sphere in Republic of Macedonia, offering top quality combined with affordable prices of offered services. We maintain sound principles based on solid values and business principles. The services we offer have a significant part of everyday life, in education, work and leisure, through which we strive towards a world of better opportunities. Our mission is to provide to our private and business users a quality access to our telecommunications services that will allow simple and efficient communication to them, all the while providing the necessary standards for environmental protection. 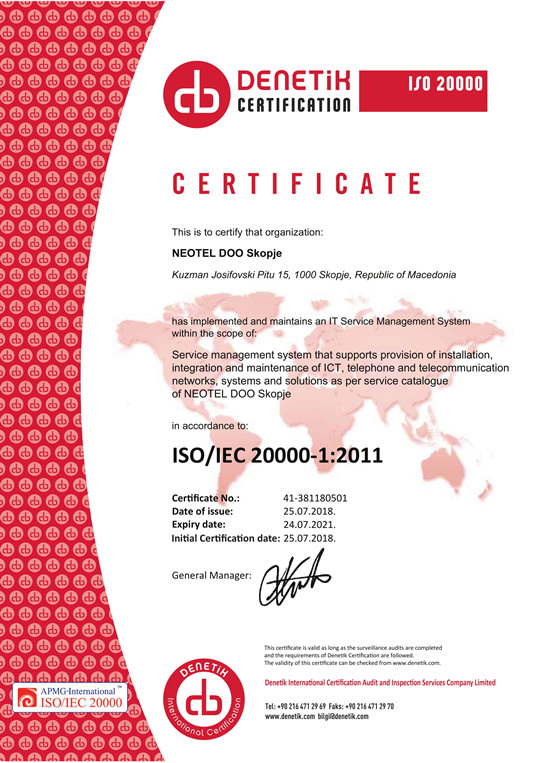 The quality management policy of Neotel DOO is securing high level of satisfaction in its users through the delivery of professional, quality and competitive products and services in the area of telecommunications, all the while following the latest achievements in the information technologies and environmental protection.